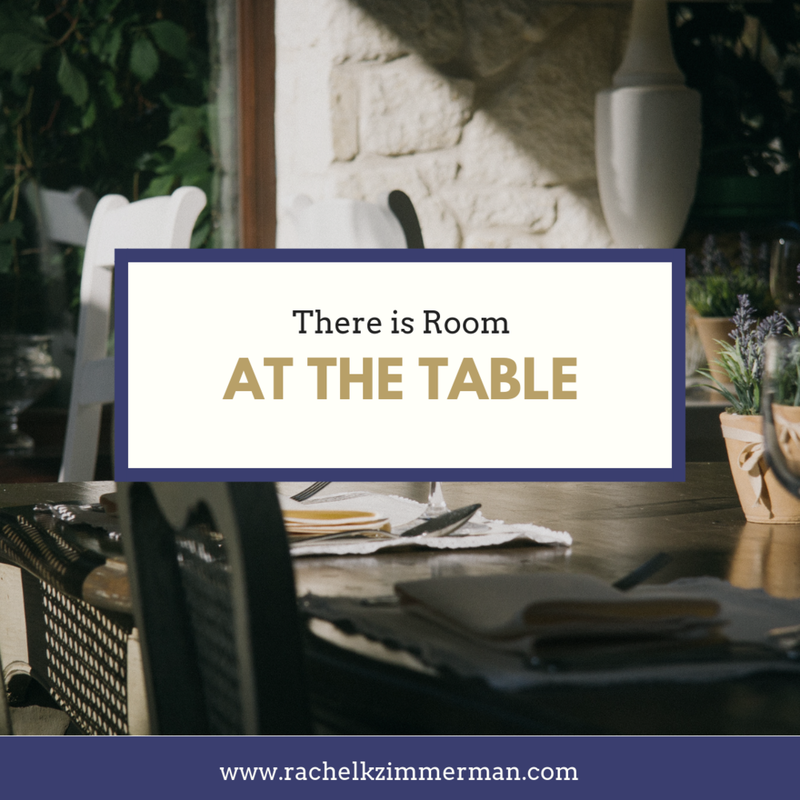 At God’s table, there is room. Room for you and room for me. Room for difference and disagreement. Room for the outcast and the foreigner. Room for the child, the woman, the elder. Room for the man and room for the boy. Room for the criminal (gasp!). Room for the felon, or one with a record. Yes there’s even room for him and her. Room for the immigrant, ‘legal’ or ‘illegal,’ speaker of English or not. Jesus served a meal to the man who betrayed him. He even washed his feet. Jesus said ‘do not fear’ so why is the rhetoric of fear ruling our hearts, our homes, and our minds? And not to mention, dominating our political views and conversations. There is room at the table for the addict, the broken (we all are), the homeless, the veteran. There is room at the table for the unlearned, uneducated, underprivileged. There is room at the table for black, white, and every shade of brown, all beliefs, cultures, and backgrounds. There is room at the table for love, kindness, courage, and security in who we are to the depths of our being. There is room at the table for opened hearts - moving from a place of love rather than pain, hurt, and brokenness. There is room at the table for your privilege and your questions. There is room at the table for your lack of privilege, your trauma, the wrong done to you. There’s room at the table for understanding, discourse, openness. There is room at God’s table. Is there a place set at the table of your heart for those that are different from you? May we be brave enough, bold enough, wholehearted enough and overflowing in kindness and good deed. God is enough. You are enough. Set the table.